I haven’t had a whole lot of time to play lately, but today I’m getting the chance to catch up. – Gordon is STILL alive. Part of me almost wishes he’d pop his clogs already so I can have one less person to control. 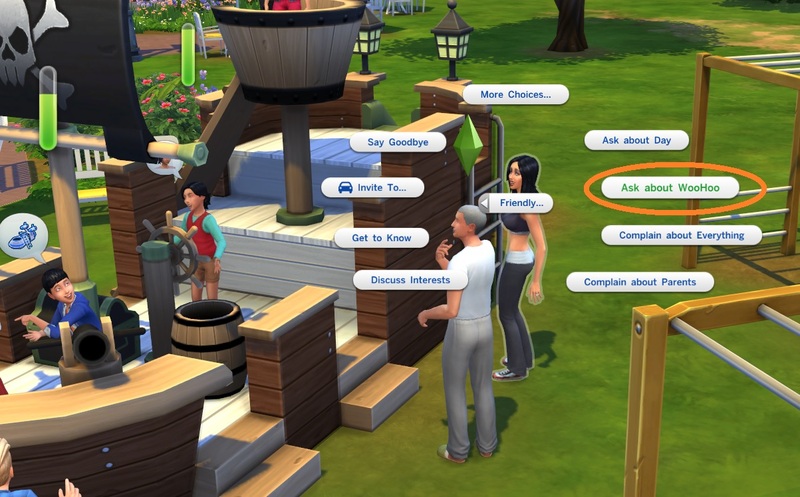 That said, Gordon is by far the least-complicated Sim in the Mirage family — he has no job, I don’t plan on fulfilling his aspiration (which I hope isn’t cheating-by-giving-up), and he’s easily kept happy with gardening, painting and his family. Could be worse. Gordon’s been wanting a TV for ages, and I finally emptied the family coffers today and bought one. Everyone is happy. – Holdem aged up to teenager. Not sure why his hair is grey, unless it’s just the buzz-cut. He’s now a High School student and has to work his way back up the grades list by starting with THREE lots of extra credit homework, which he thinks is super unfair. His randomly-acquired trait and aspiration are Creative (no great surprise there) and Friend of the World, which should be interesting. It’ll probably teach me to stop panicking about splitting up my Sims. 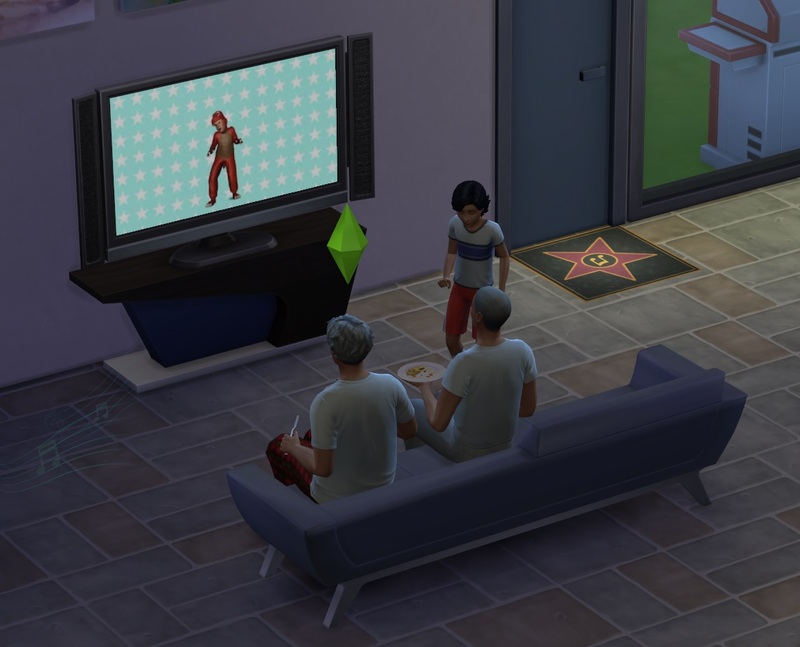 Holdem got a level or two in his childhood aspiration but that got replaced by an adult one when he became a teen, and the two younger kids have only just completed the first part of theirs. Since lifespans are so short at normal speed, I don’t see how any kid can get their aspirations done before they age to teens unless it’s ALL they do — which is impossible, because going to school, eating, homework and all the other normal parts of life take up quite a lot of the day. Anyway, I’m getting less tense about having so many Sims to control. Oddly enough the males in the family are taking up most of my playing time. Parcheesi is easy to run, because all she really cares about is her music. Hopefully the next family leader will be a little less obsessive — which should be Holdem unless he dies somehow (and I don’t think the game has death except by old age at the moment? ).